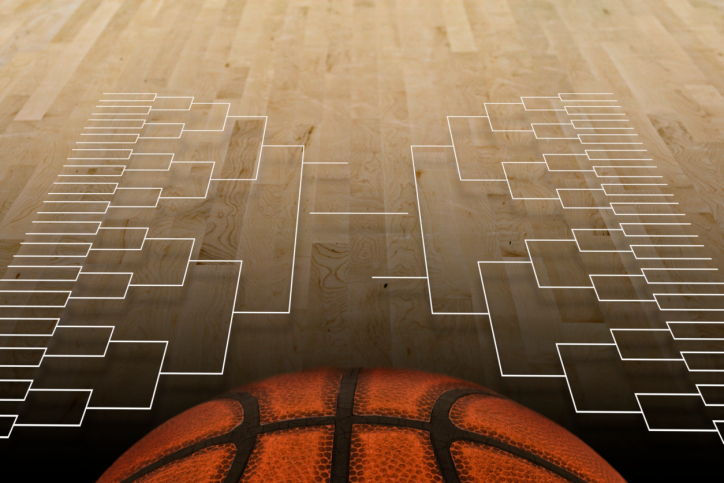 March Madness is the culmination of the NCAA season. It’s when the finest teams compete in a national tournament in order to see who’s the best, with sixty-eight men’s teams and sixty-four women’s teams making the cut. The winner is considered the year’s champion of college hoops. In order to determine which teams are allowed to play in the tournament — there are more than 300 Division I NCAA basketball programs in the country — conference commissioners and athletic directors from across the nation come together and suss out which teams are worthy of admittance. Thirty-one of the teams are given automatic entry by virtue of winning their respective conference tournaments, and the rest are left to the mercy of the selection committee. The selection committee spends four days deliberating over the rest of the teams, as well as the seeding for the tournament, which is announced live on television on Selection Sunday. The games begin the following Tuesday and wrap up in April. With the tournament coming up quickly and brackets being printed in anticipation, here are seven of the best teams to ever be invited to March Madness. Arguably the most famous NCAA team ever assembled, the University of Michigan’s Fab Five — Jimmy King, Jalen Rose, Chris Webber, Ray Jackson, and Juwan Howard — never managed to win an NCAA title together. Only one of them would win it all in the NBA, and that was at the end of his career, as Howard came off the bench for the Miami Heat in 2012 and 2013. But to dwell on that would miss the point of the Fab Five. They brought in baggy shorts. They wore black socks. They brought direct attention to the fact that the NCAA wasn’t allowing them to be paid while the University of Michigan raked in cash hand over fist with their likeness. They were the first all-freshman starting five in NCAA history. And they were good. Real good. Although most of their wins have been vacated, owing to Webber accepting money from a promoter, the Fab Five forever changed the college game. A few years ago, ESPN created a 30 for 30 on their two seasons together. It remains a must watch for basketball fans. Led by future Boston Celtic Antoine Walker (and future Celtics coach Rick Pitino), and ten other eventual NBA players, the ’96 Wildcats were on the war path. Eventually coming out on top of the 1996 NCAA tournament, The Untouchables would only lose two games all year, compiling a 34-2 record, as well as a 16-0 record in their conference, the SEC. 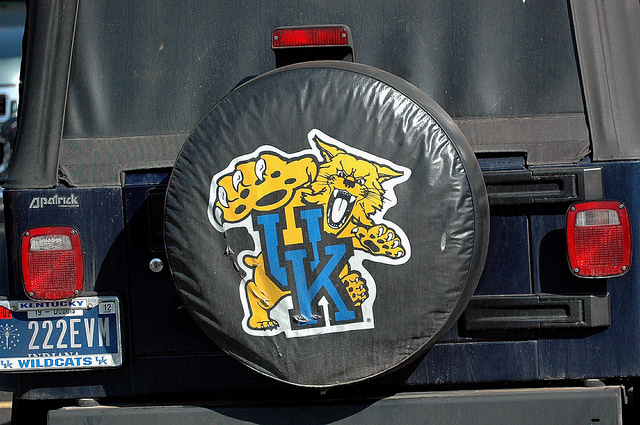 Nowadays, Kentucky leads the NCAA in all-time wins and highest win percentage, coming in at 2130-670. Back then, Walker, along with future NBA players Walter McCarty, Derek Anderson, Wayne Turner, Jamaal Magloire, Tony Delk, Ron Mercer, Nazr Mohammed, Scott Padgett, Mark Pope, and Jeff Sheppard were running ragged over teams. Walker would eventually win a ring with the Miami Heat in 2006, and Mohammed is still in the league, providing backup minutes for the Chicago Bulls. This is a video of those 1996 Wildcats demolishing LSU. In the first half, Kentucky had already scored 86 points. Remember Dunk City? When Florida Gulf Coast University provided the upset of the century by running the break all the time and doing nothing but hustling its way to victory? 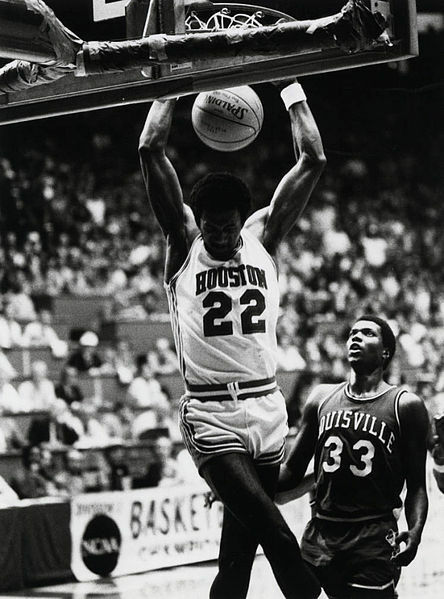 Here’s its spiritual ancestry, the University of Houston Cougars, a team that would be titled Phi Slama Jama. Picture FGCU with Clyde Drexler and Hakeem Olajuwon. Like the Fab Five, the members of Phi Slama never won anything in their time together — they were defeated in ’83 by one of the most famous March Madness shots of all time, and lost to a Patrick Ewing-lead Georgetown squad a year later (and that team was without Drexler, who had declared for the NBA in 1983), but they left a lasting impact on college hoops. Before Texas’ Tallest Fraternity popularized it, dunking was considered Bush League, with iconic college hoops coach John Wooden telling ESPN’s Page 2 that he’d abolish the dunk if he could in 2001. Speaking of John Wooden, arguably his finest hour came as Bill Walton’s coach, when the UCLA Bruins would go on to set an NCAA record of eighty-eight straight wins over three seasons, and Walton would electrify audiences and scouts with his incredible play. Over his first two years, Walton would average just under 21 points and just over 16 rebounds per game, becoming a two-time AP Player of the Year, a two-time Naismith Men’s College Player of the Year, and a two-time Final Four Most Outstanding Player. He was good. While Walton’s pro career would be derailed and defined by foot injuries, the lightning in a bottle of a healthy Walton helped UCLA go 30-0 in ’72 and again in ’73, defeating Florida State and Memphis State, respectively, to capture back-to-back NCAA titles. On the way to the school’s still standing record of seven straight NCAA victories. This one isn’t really about the teams at all. In all honesty, it never was. Even Magic Johnson admitted it, telling the NBA that “it wasn’t Indiana State versus Michigan State, it was Larry Bird and Magic Johnson.” This is still one of the most exciting battles in NCAA history — and the ratings reflected that, as the ’79 Finals Game is still the highest rated college basketball game of all time, per USA Today. Also, at least in the Sycamores’ case, Larry Bird was the entire team. Averaging over 30 points a game in his sophomore, junior, and senior seasons, Bird lead Indiana State to a 33-0 record and a first seed in the Midwestern Bracket of the NCAA tournament. Likewise for Johnson, the Spartans leaned on him to win games, and he delivered, helping the team to a 26-6 record and averaging 17 points, 7-plus rebounds, and 7-plus assists per game. Ultimately, Bird and the Sycamores would fall to Michigan in a 75-64 loss. 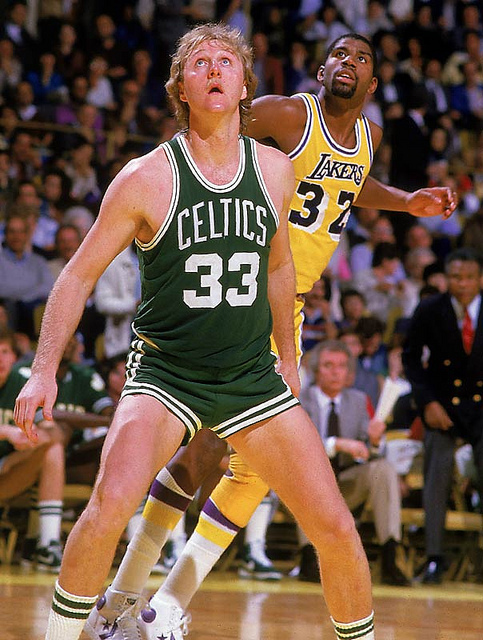 Both players would declare for the ’79 NBA draft, and would take their rivalry to the Association, helping to provide professional basketball with a mass appeal as it transitioned out of the 1970s. Watching highlights of their highschool and college careers, it’s easy to see why. They had to be here. No one’s happy about it. The first team to repeat as an NCAA champion since the Walton-UCLA squads, the 1991-92 Blue Devils were a great basketball team. Led by Christian Laettner, Bobby Hurley, and Grant Hill, this was the squad that ran all over the Fab Five in the title game, finishing with a 71-51 victory. In addition to being its second straight NCAA victory, it was the team’s third consecutive appearance in the NCAA championship game. And the Devils’ fourth consecutive Final Four appearance. Because, you know, Duke. Their entire dissection of Michigan is on YouTube, and, as much as it pains me to say it: They play really, really well. 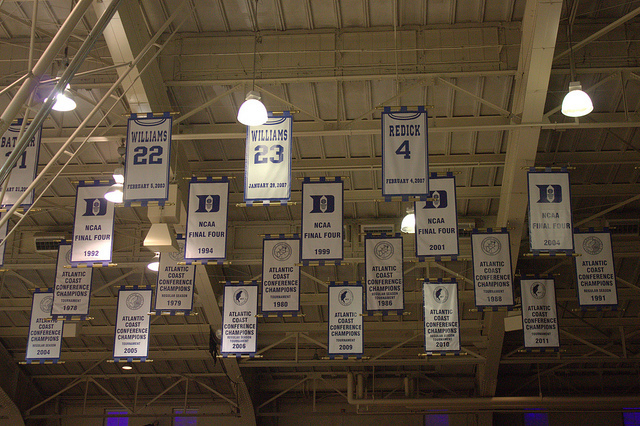 Laettner, Hurley, and Hill would each have their numbers retired by the university after leaving for the NBA.